The second Knowledge Co-Creation Programme (*) on “Combating Desertification to Strengthen Resilience to Climate Change in Sub-Saharan Africa,” under the African Initiative for Combating Desertification (AI-CD), was held in Tsukuba, Japan from 25 November to 8 December 2018. Nine participants from Burkina Faso, Eritrea, Ethiopia, Kenya, Mauritania, Niger, Somalia, and South Sudan joined the programme, three of them being the focal points of AI-CD and the United Nations Convention to Combat Desertification (UNCCD) in their respective countries. Certifications were awarded to all the participants during the closing ceremony. 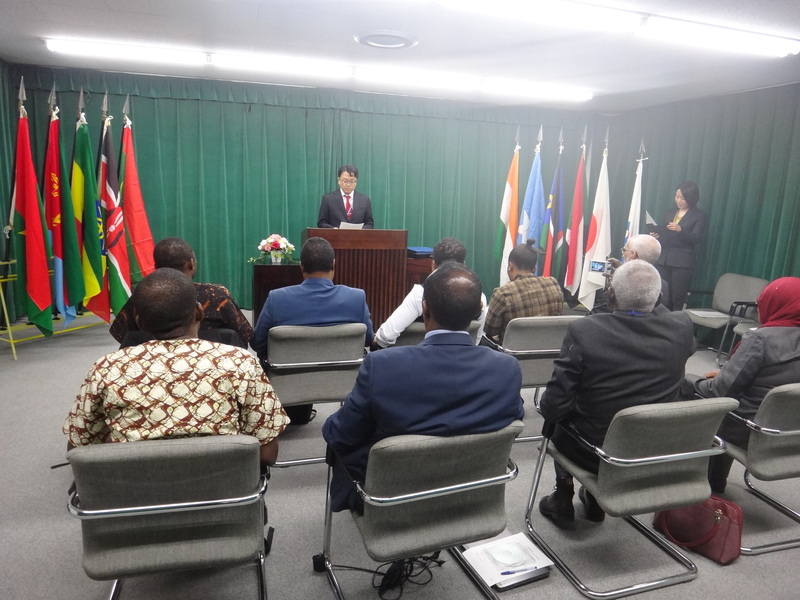 The overall goal of this Knowledge Co-Creation Programme was to foster a better understanding of the international discussion on desertification, and of effective measures and approaches for combating desertification initiated by Japan and other counties. In addition, each participant was expected to make a new Action Plan or update the existing plan to conquer desertification problem in his/her country. To build a network among programme participants. The participants attended several lectures delivered by various organisations from 26th November to 5th December 2018. 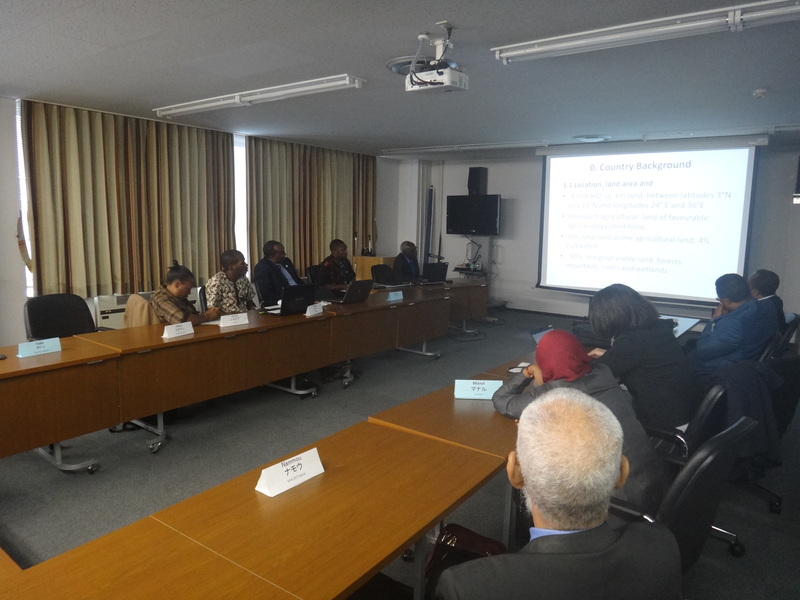 AI-CD secretariat also delivered a lecture on access to finance for the implementation of activities and/or projects for combating desertification. 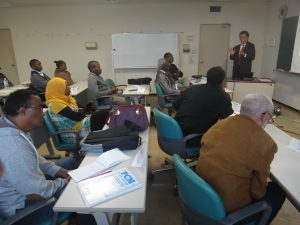 Lecture on access to finance was delivered by AI-CD secretariat. Participants visited the Arid Land Research Centre to attend lectures provided by the researchers. 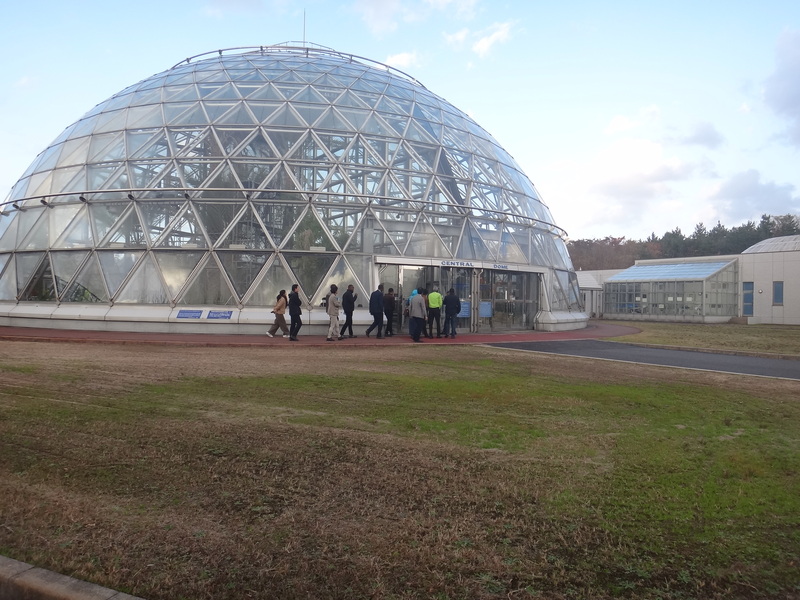 In the middle of the programme, the participants visited Tottori Prefecture and the Arid Land Research Centre (ALRC) in Tottori University, which is known as a centre of excellence for research on desertification in Japan. 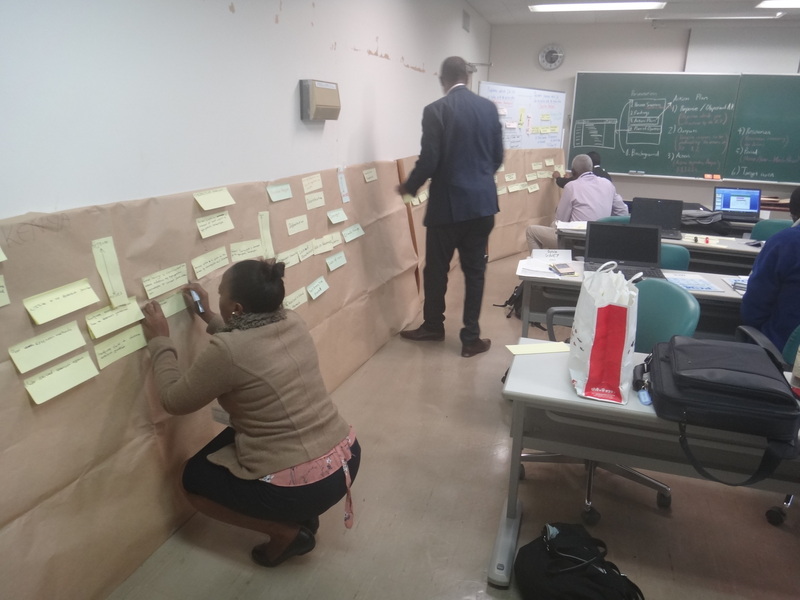 Action Plans were elaborated after a series of lectures on Project Cycle Management (PCM) method. Every participant presented his/her elaborated Action Plan as an achievement from the training course. 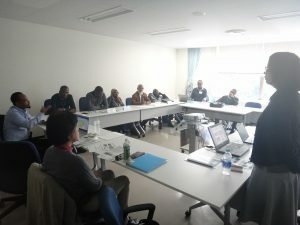 During the last two days, each participant developed an Action Plan for his/her own country and presented it for discussion purposes with other participants and audience. Finally, certifications were awarded to all the participants during the closing ceremony for their successful completion of the course. The participants are expected to implement their Action Plans to combat desertification in their respective countries, which will contribute to the achievement of Land Degradation Neutrality (LDN) and the Sustainable Development Goals (SDGs).